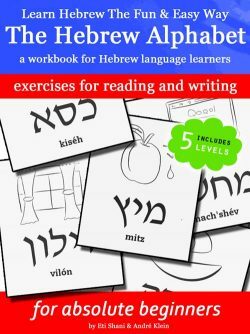 Hebrew has the reputation of being a difficult and heavy language, after all it’s the language of the Bible. But it can be so much fun if we take a more playful approach! 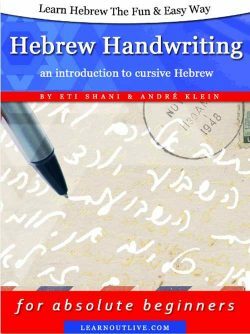 After looking at the Hebrew alphabet for the first time and trying to memorize its letters and sounds, many learners forget quickly if they don’t apply their knowledge on a daily basis. 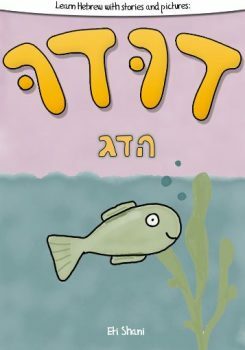 Hebrew uses a completely different alphabet than English and even the reading direction goes from right to left instead of left to right. This all takes some getting used to. Reading is still one of the most convenient ways to make a language stick, because you’re actually using the language while learning it, instead of merely memorizing isolated bits and pieces. 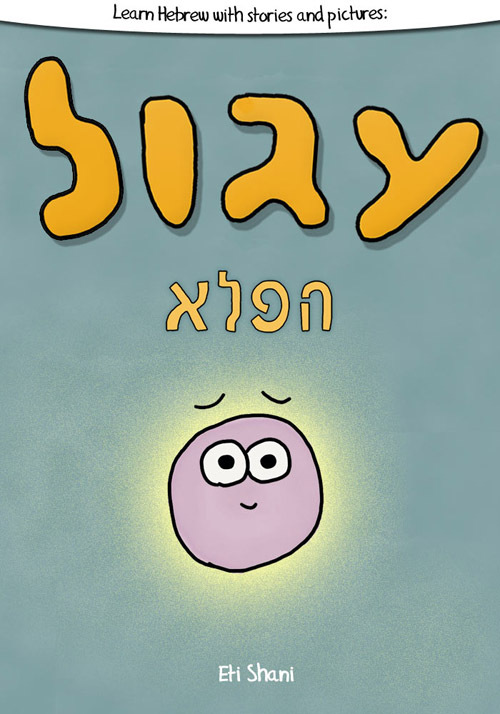 This story book for Hebrew learners is a first step in reading comprehension training for beginners, featuring a simple narrative which is accessible to readers both young and old. 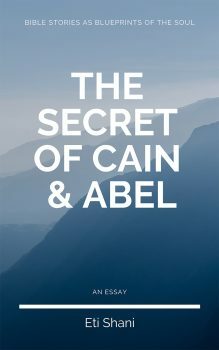 Each part of the story is accompanied by an original illustration, so that even when you don’t understand all the words, you can still get the gist of it and put the missing words in context. In addition to that, each picture is followed by a table containing translation and transliteration (pronunciation guide). If in the end, you’re still not sure whether you’re pronouncing the words correctly, listen to the accompanying audio file.